Baita notícia para aqueles que, como eu, acha que o que é feito hoje em dia não tem a mesma "essência" do som que se fazia nos 90's. Sasha, Manc legends 808 State and Stu Allan, and Hacienda resident Dave Haslam. Yeah, yeah, we all know how good it was “back in the day"
The pills were stronger, the music was fresher, the people were nicer, and there wasn’t anyone photographing you sat in a muddy puddle chewing your face off, wondering why they sky’s melting. 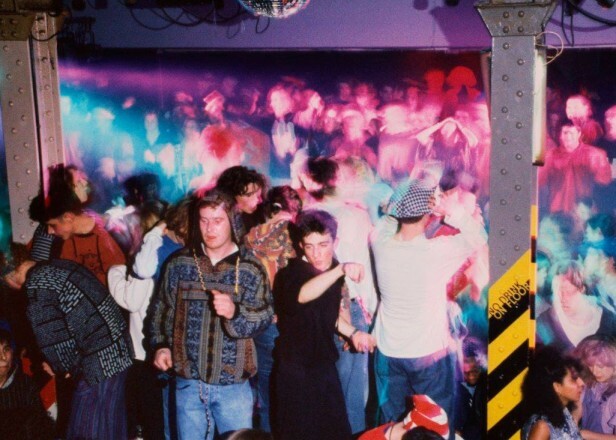 Thankfully, keen rave archivist Matt Wareham has dug up a treasure trove of over 200 classic 1990 sets from “an old hard drive” and uploaded them to Dropbox, so we can all indulge without having to invest in Libyan plutonium. Included in the dump are sets from a wide variety of DJs, interestingly dipping into the US for a change. We get material from acid innovator DJ Pierre, disco legend Larry Levan, house deity Frankie Knuckles, French techno don Laurent Garnier, jungle pioneer Grooverider, hoover bass originator Joey Beltram and many more. Along with that are dozens of sets from the usual suspects of rave’s golden era, including Sasha, Manc legends 808 State and Stu Allan, and Hacienda resident Dave Haslam. Head here to grab enough material to keep you cross-eyed for the next couple of weeks. Update: It looks as if the traffic has been a bit too much to handle and Dropbox has temporarily disabled the link. Worth checking back later to see if it’s back, though.